You Can Drink An Orange | Kids Video Song with FREE Lyrics & Activities! you can’t drink a green, you can’t drink a green. You can drink an orange but you can’t drink a green. A green just cannot be drunk! There are nine orange themed songs to introduce each colour. 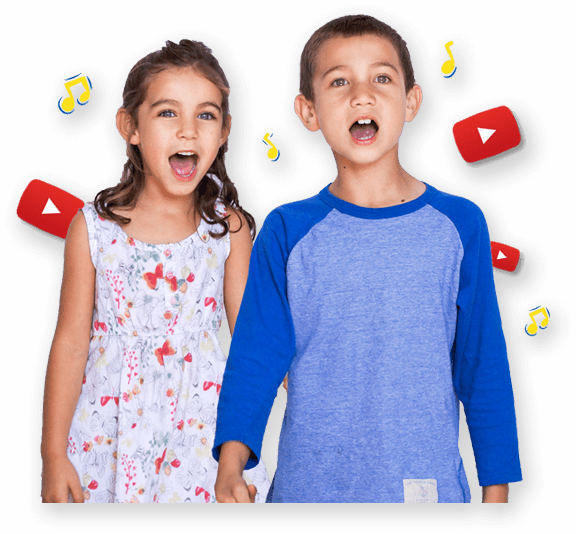 Singing funny songs helps to awaken a child’s humour! Each of the nine orange themed songs has a different tempo (the speed of the beat). Give each child a sheet of paper (e.g. news print, newspaper or magazine paper). Play the song and in time to the beat (the steady pulse) rip the paper. Make a colour wheel. Show the primary colours, red, yellow and blue in the inner circle; then the secondary colours orange, green and purple in the outer circle. Let children experiment with mixing red and yellow paint together to make the colour orange. ‘Walking water experiment’ Place three same size glasses (short wider glasses or canning jars work best) in a row. Fill the outside glasses with 2/3 water; add yellow dye or food colour to one of the outside glasses and red dye or food colour to the other outside glass. Leave the middle glass empty. Fold 2 paper towels into thirds, stick one end of the paper towel into the yellow glass and the other end into the middle empty glass, stick one end of the other paper towel into the red glass and the other end into the empty middle glass. Watch what happens! Listen to all of the nine themed orange songs. You can peel, squeeze, roll, squash, pick, buy, slice, drink, hold. Act out one of the themes for others to guess.